Attila was the brand name used on sports racing cars built by Racing Developments of London. The company only operated in 1964 and 1965 and was the brainchild of Mark Perry and Val Dare-Bryan. Their cars were made in extremely limited numbers. This Mk 3 features a tubular spaceframe chassis and has a 5.0-liter Chevrolet V-8 mounted behind the driver. This particular chassis was built for a wealthy gentleman driver and it was used in competition around the U.K. into the 1970s. Active on the historic circuit, this Attila would be welcome at most events. It is one of three Mk 3 chassis built (and one of two known), with total Attila production totaling not much more than that. A sleek 1960s racer, this car should bring between $125,000-$150,000. Click here for more info and here for more from Bonhams. 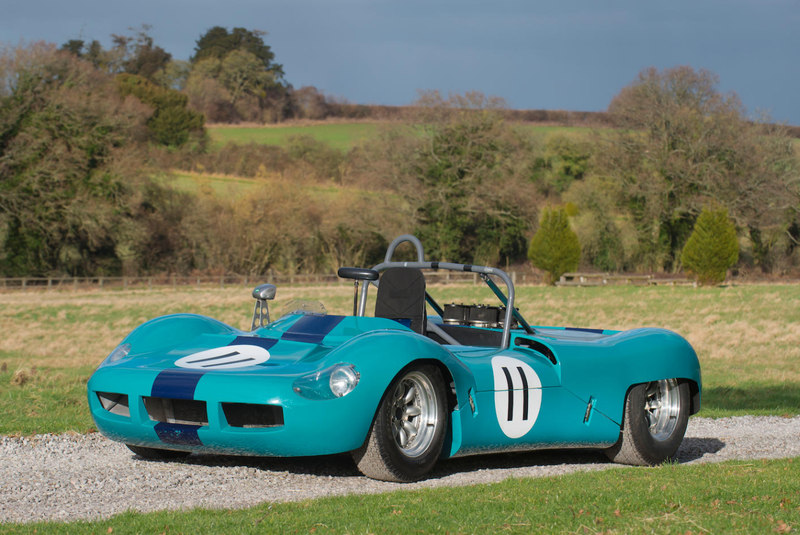 This entry was posted in Uncategorized and tagged 1965, attila, auctions, Bonhams, cars, chevrolet, classic cars, mk 3, race cars by classiccarweekly. Bookmark the permalink.